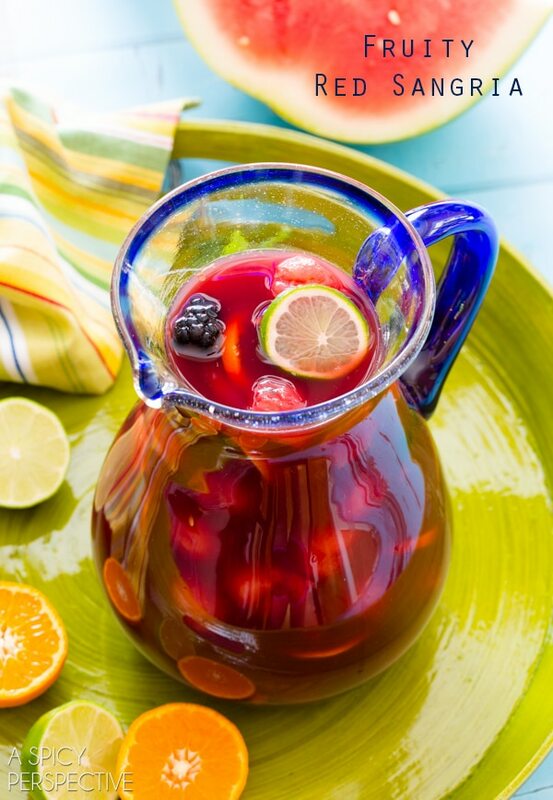 This easy red sangria recipe is the absolute BEST sangria recipe we’ve ever made. Fruity, full-flavored, and loaded with boozy saturated fruit. Would you just look at that? There are no words for how much I wish this pitcher of red sangria hadn’t already vanished a few days ago. That’s the thing about a red sangria recipe. If it’s a really good mix, it doesn’t last long. And I would say this particular red sangria recipe vanishes faster than most. After all, who wouldn’t love a blend of spanish rioja wine, sweet rum, orange and cherry juice, watermelon and fresh picked berries? I know I can’t resist it. All these vibrant flavors meld together into one tangy-sweet complex fusion of fruity rapture… in a glass. 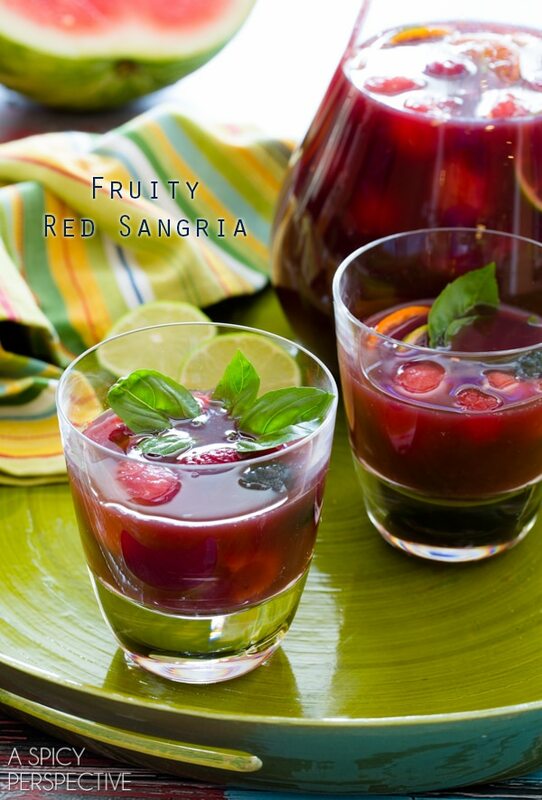 Fancy words for sangria, but then again this is no ordinary red sangria recipe. To the Rioja, I added Leblon Cachaca, a smooth fruity Brazilian rum (way better than average rum in my opinion) and Solerno Blood Orange Liqueur (my favorite orange liqueur.) Then on top of the standard orange juice, I added deep dark cherry juice to mimic the depth of the Rioja. The final touches, a little lime juice to brighten up the flavor, and a whole lot of fresh watermelon balls to soak up the wine. There’s nothing quite like snacking on boozy watermelon balls at the bottom of your sangria glass. 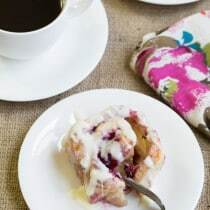 Or boozy blackberries and raspberries for that matter. Stir it up and pour yourself a tall one. Pour all the liquid ingredients into a large pitcher and stir. Then add the fresh fruit to the pitcher. 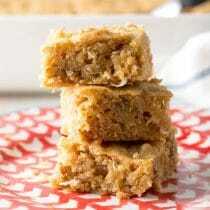 Cover and refrigerate for at least 2 hours. 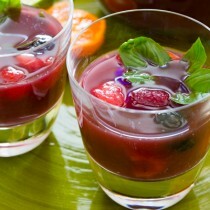 When ready to serve, pour in glasses and garnish with fresh basil leaves. This was the most awesome drink! Easy to make & easy to go down. 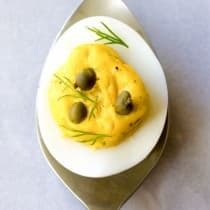 Served it at a party and guests could not get enough of it! Best one I have ever had. 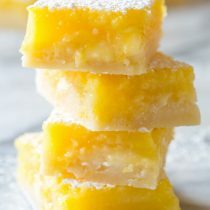 this is by far the best i have ever made, serving tomorrow at birthday party and have already printed out recipes to give out since i know what the response will be, delicious!! Sommer,can you get all these ingredients here in Asheville.? Sangria is my favorite of all the boozy beverages. This is a winner. Pinned! 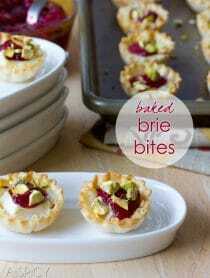 Ok, this looks fantastic.. gorgeous pictures and I can’t wait to try the recipe! 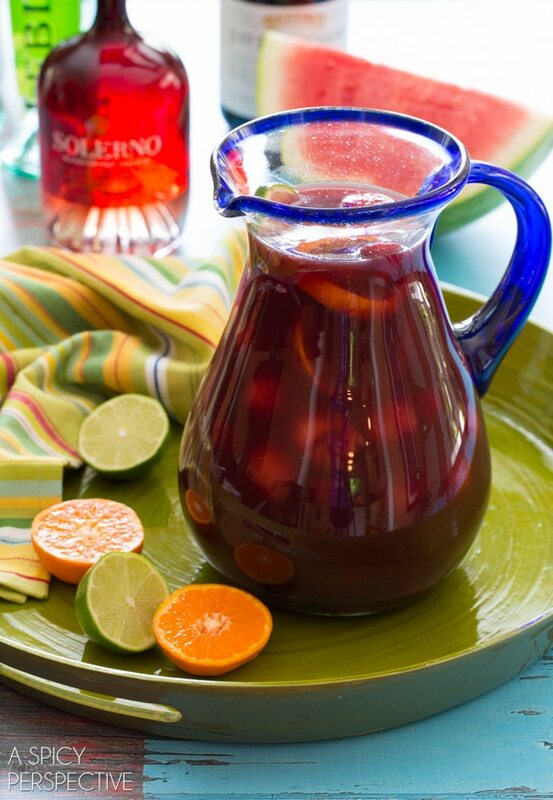 We are having a sangria throwdown in my neighborhood and I am going to try yours! This looks great! I need to try it…red sangria is hard for me because it’s usually too bitter. Maybe with all the juices and flavors this one would be better for my sweeter tastes! I love Sangria, such a beautiful rich color. 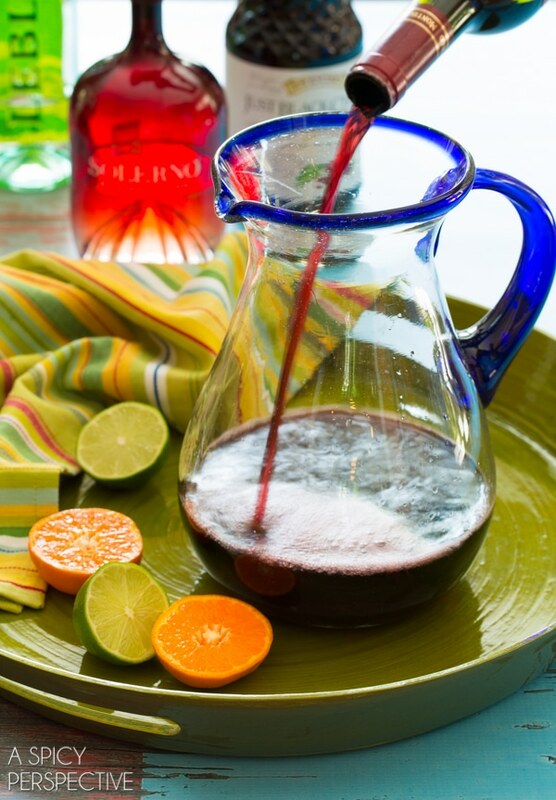 Very sophisticated Sangria…it must be a amazing! This looks fantastic! 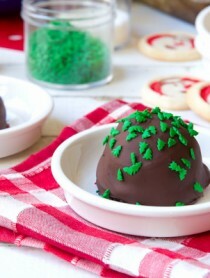 I’m definitely trying this soon! 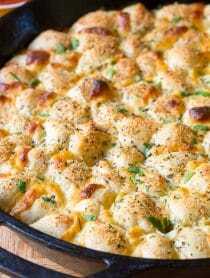 This looks so good right now! I’ve always heard to use brandy for sangria, but I like your version much better. Rum is my go to, and pairing it with fruit and red wine sounds perfect! Let the weekend begin! 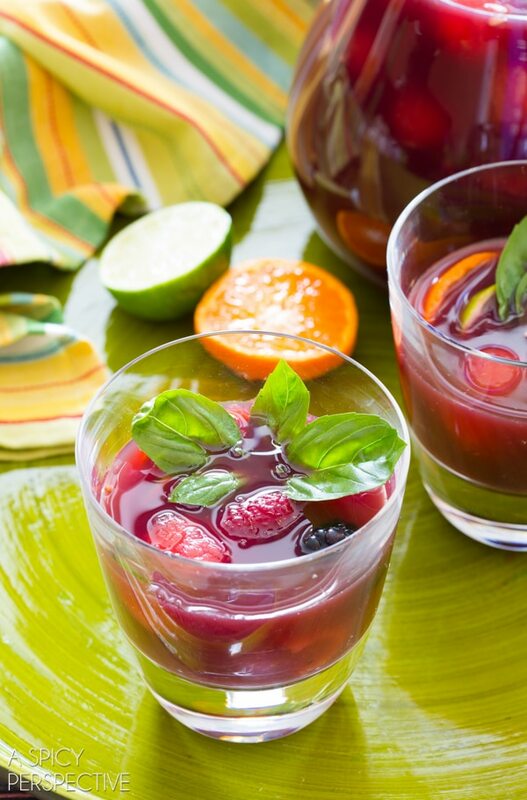 Plus, I think that the fruit is the best part of sangria! Happy Friday, indeed!! This looks like the perfect way to ring in the weekend. THIS is totally happening this weekend! What would you suggest replacing the blood orange liqueur with? I cannot get it in my province. Use any orange liqueur you like: Grand Mariner, Triple Sec, Curacao, Citronge, or La Belle are good choices. this looks awesome and I absolutely love the unexpected addition of the basil leaves- genius! Look at that color!! It’s so pretty! what a great drink for summer! This looks so good, Sommer! I never thought to use Cachaca in anything but a caphrina but what a great idea. Happy Friday!